While the Ebenezer Pavilion and the Bethel Pavilion, across Trinity Park, were virtually identical prior to enclosure, this one retains more of its original character. Note the eave trim all the way around the roof edge, the square cupola, and the board and batten siding. Nineteenth century accounts of Mount Tabor tell us that at one time there was a map of the Holy Lands worked in colored sand on the dirt floor of the Ebenezer Pavilion. The flat roof portico supported by four Tuscan columns dates to the enclosure of the building in 1901. 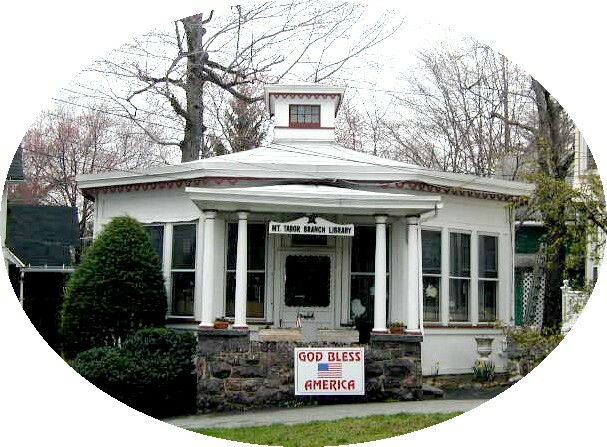 The building has served as the community library since 1901, and is now a branch of the Parsippany-Troy Hills Public Library.